CLOVERDALE, Calif. — One of the hottest wines on the U.S. market these days is rosé, and wine judges from the across the country continue to help make the case that Rob Griffin in Richland, Wash., makes the best rosé in America. 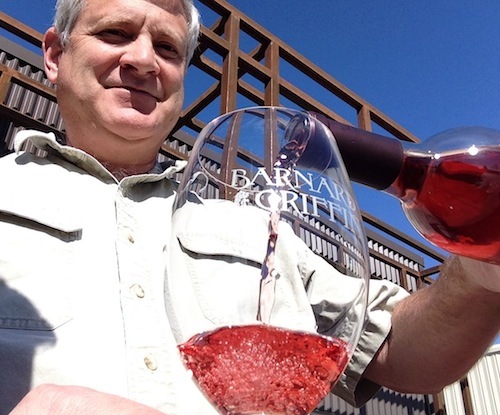 On Friday, the San Francisco Chronicle Wine Competition, the largest judging of wine in America, awarded the Barnard Griffin Winery 2017 Rosé of Sangiovese as the top rosé of the week-long competition. These days, not much surprises Griffin, the dean of Washington winemakers, but he seemed gobsmacked when reached at his winery moments after judges voted his rosé as a sweepstakes winner. And yet, one of the easiest bets surrounding the San Francisco Chronicle Wine Competition is Griffin’s dry pink wine from the bright Italian grape. 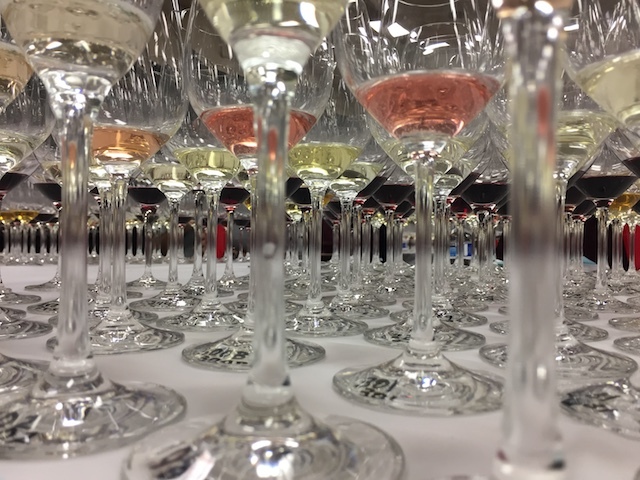 Friday marked the second time in three years that it won the rosé sweepstakes at the Sonoma County judging — the sixth time overall — and it was 12th time in 13 years that it has received at least a gold medal. And he’s already planning on pouring that wine at the Fort Mason public tasting for 5,500 attendees. A year ago, his 2016 vintage of the pink won a gold medal in Cloverdale. Griffin said the little bit that’s left will be sold through in the next month. Barnard Griffin will release the already-acclaimed 2017 pink to the public on Valentine’s Day, and it will be sold at the winery for $14. Bottling of that wine, which is still underway, will be an estimated 17,000 cases. The wine is widely available at grocers throughout the Northwest. Pacific Northwest wineries won 213 gold medals, and a whopping seven of those went to releases by Southern Oregon producer Reustle-Prayer Rock Vineyards, Wine Press Northwest magazine’s 2017 Pacific Northwest Winery of the Year. Two of those were won for his pioneering work with the Austria white grape Grüner Veltliner. It was an impressive yet not shocking showing for Griffin, who amassed five gold medals. In addition to rosé, he earned a double gold medal for Albariño, two golds for Chardonnay and a gold medal for his $17 Cab. 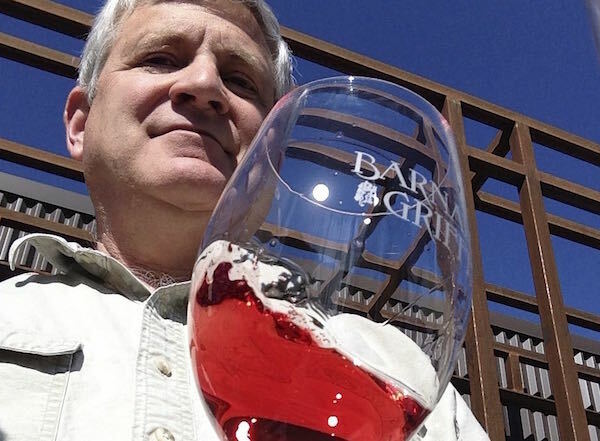 Northwest wineries, including Barnard Griffin and Reustle, combined for 14 best of class awards. Two of those went to A to Z Wineworks for consumer-priced Pinot Noir and Chardonnay. The Oregon giant also recorded a double gold for its bargain Pinot Gris. Ste. 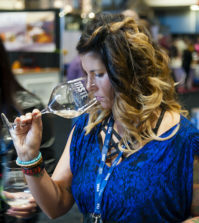 Michelle Wine Estates had six brands combine for nine wines that won gold or better — Columbia Crest (two), 14 Hands (two), Seven Falls (two), Chateau Ste. Michelle, Intrinsic and Domaine Ste. Michelle. College Cellars, the teaching winery with a commercial tasting room at Walla Walla Community College won six gold medals, including a best of class for Grenache-Syrah-Mourvèdre blends and double golds for Syrah, Chardonnay and rosé of Pinot Gris. The Gem State also shined in Sonoma with seven gold medals, led by Boise native Melanie Krause. 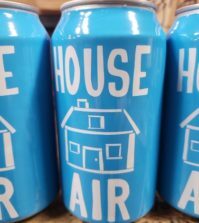 The Garden City producer received four gold medals, two under her Cinder Wines brand and two more under her value Laissez Faire label. Clearwater Canyon Cellars in Lewiston earned a double gold for its 2015 Merlot from the historic Lewis-Clark Valley. Indian Creek Farm Winery struck gold again for its bargain 2014 Star Garnet Red Blend, and Sawtooth Winery won a gold medal for Tempranillo grown at its scenic vineyard in the Snake River Valley. DANCIN Vineyards, Wine Press Northwest’s 2017 Oregon Winery of the Year, won four gold medals, two of those for Pinot Noir. Amelie Wynn, a decade-old boutique winery on Washington’s Bainbridge Island, won four gold medals for red wine, two of those using fruit from Kiona Vineyards on Red Mountain. 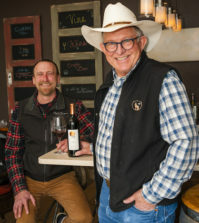 Yakima Valley winemaker Ron Bunnell also earned four gold medals — best of class for his 2014 Petit Verdot, double golds for 2013 Grenache and 2013 Malbec, and gold for a 2015 Sangiovese under his restaurant’s Wine o’ Clock label. Schmidt Family Vineyards, a three-generation winery in Oregon’s Applegate Valley, mined four gold medals — three of them double gold. Fries Family Cellars won four gold medals, three with Oregon brand Duck Pond Cellars and a gold for estate Chardonnay from Desert Wind Winery in Prosser, Wash.
Jessica Munnell, who recently resigned from Mercer Estates, can take credit for four gold medals, three for Mercer and one for Schooler Nolan Winery, an emerging brand launched by Columbia Valley restaurateur J.D. Nolan. Eye of the Needle, a young winery in Woodinville, received four gold medals for its reserve red program. Milbrandt Vineyards picked up four gold medals, two of those were double gold, for red wines from the 2014 vintage. Pat Spangler and his Spangler Vineyards in Roseburg, Ore., won three gold medals for red wine, led by a best of class for his 2015 Carmenere. The Kitzke family in West Richland, Wash., won three gold medals — two under their son Seth’s Upsidedown brand. 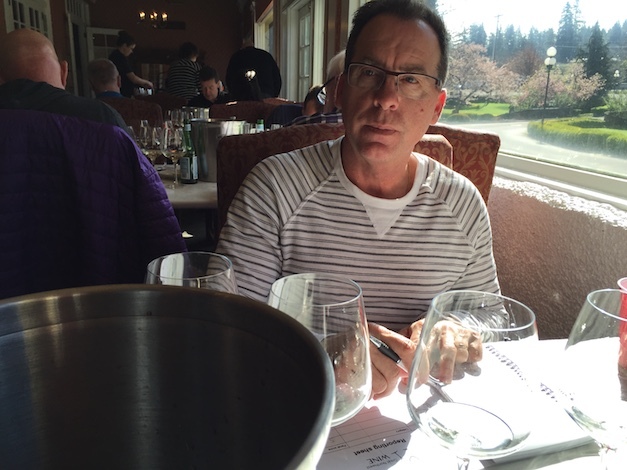 Doug Nierman recently resigned from Zerba Cellars in the Walla Walla Valley, but he’s responsible for the three gold medals using red Bordeaux varieties from the 2015 vintage. Sparkling wine house Argyle Winery in Dundee, Ore., won three golds, two for bubbles. The Elk Cove Vineyards winemaking team in Gaston, Ore., pulled in three gold medals, two of those under its expanding consumer-priced Pike Road program. 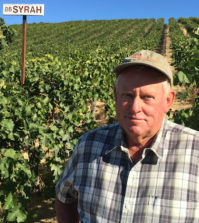 Del Rio Vineyards in Southern Oregon again displayed its growing diversity with a double gold for Pinot Noir and golds with Pinot Gris and Cabernet Sauvignon. Appreciation for the work of the late Patricia Green showed as her Patricia Green Cellars 2016 Freedom Hill Vineyard Pinot Noir was awarded a gold medal. Barrister Winery in downtown Spokane remains among the West Coast elite in its work with Cabernet Franc, meriting a gold medal in Sonoma. Northwest states Oregon, Washington and Idaho combined for 793 entries, accounting for nearly 12 percent of the near-record field of 6,935. Oregon entered more wines (407) than Washington (353), with 33 from Idaho. The Beaver State also earned the most medals (376), which was 53 more than the Evergreen State. Only two of Idaho’s entries failed to medal. Fruit from the Pacific Northwest produced 771 medals for wineries and cideries across the United States. Common Cider Co., in Sparks, Nev., used fruit from Oregon to claim two best of class awards in the cider portion of the Chronicle.